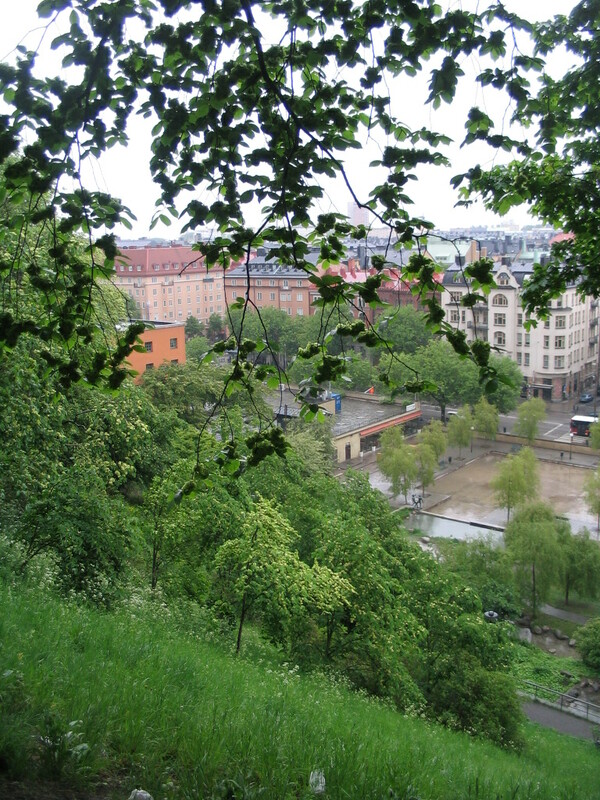 We continued exploring Norrmalm, zigzagging all around. 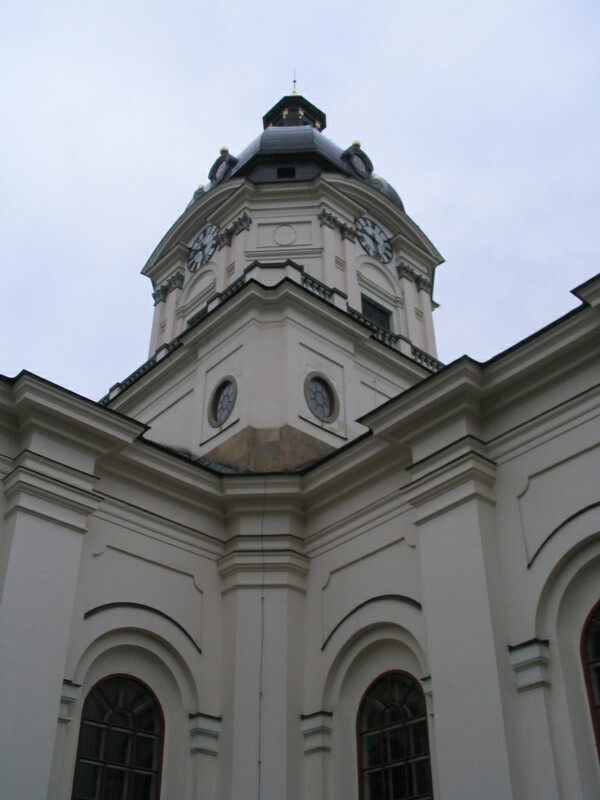 This is Adolf Fredriks kyrka. It took some effort to track down its identity. 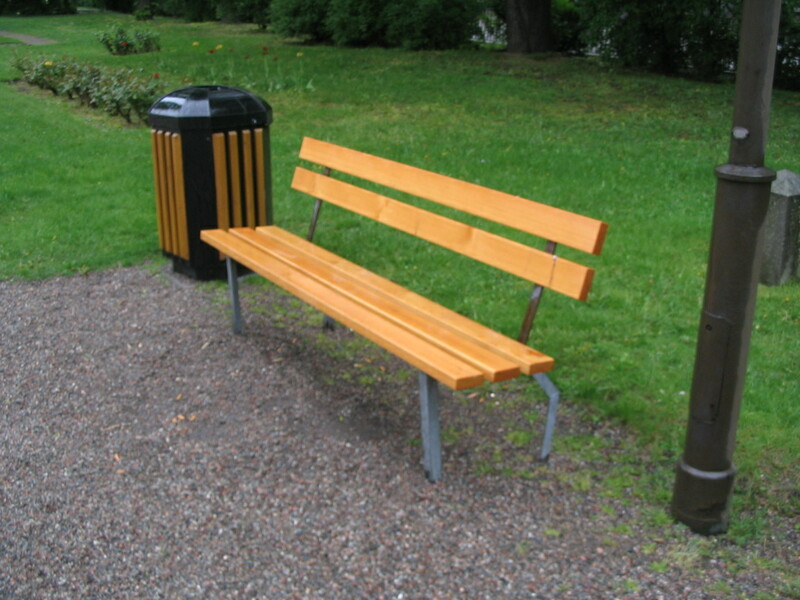 This bench on the church grounds looks kind of horsey with those bent back legs. 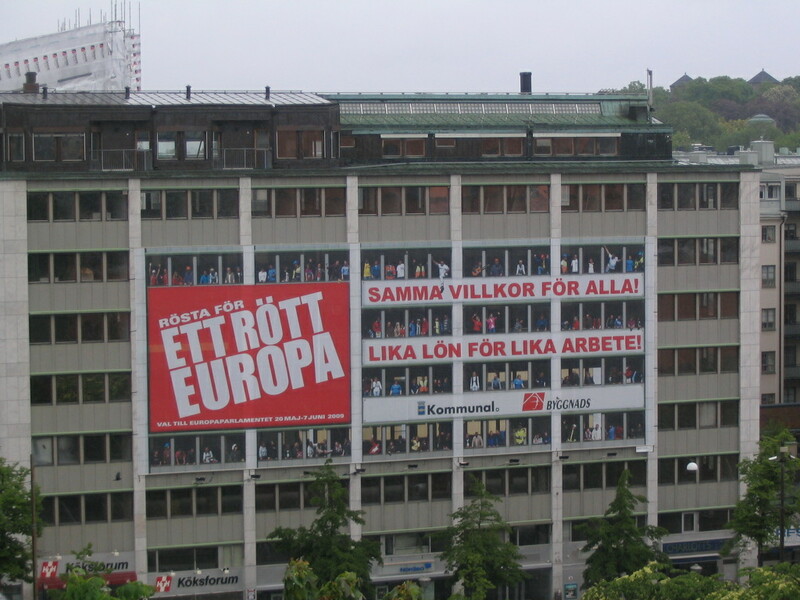 Suddenly, a sighting of Engelbrektskyrkan! 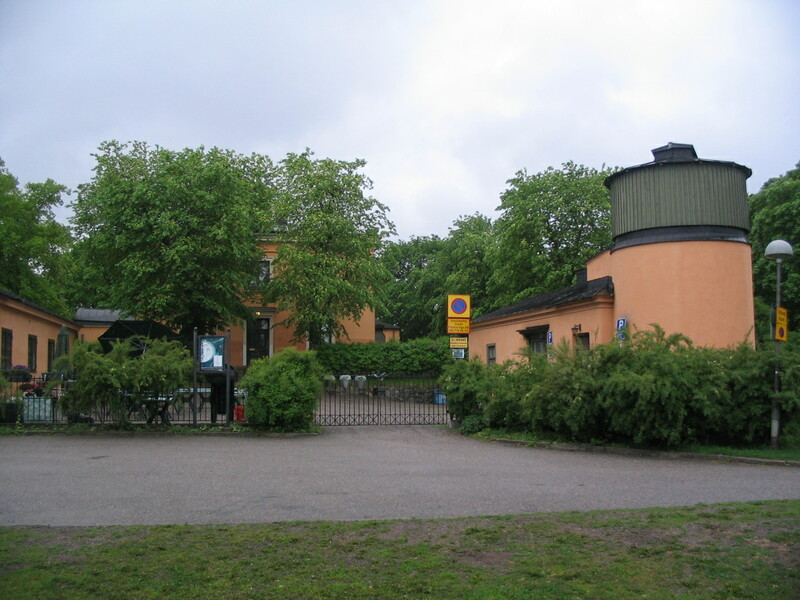 At the northern end of Drottninggatan is Observatorielunden (Observatory Grove), a park way up on a steep hill. We proceeded up into it. Mystery buildings down the hill almost completely occluded by the verdure. 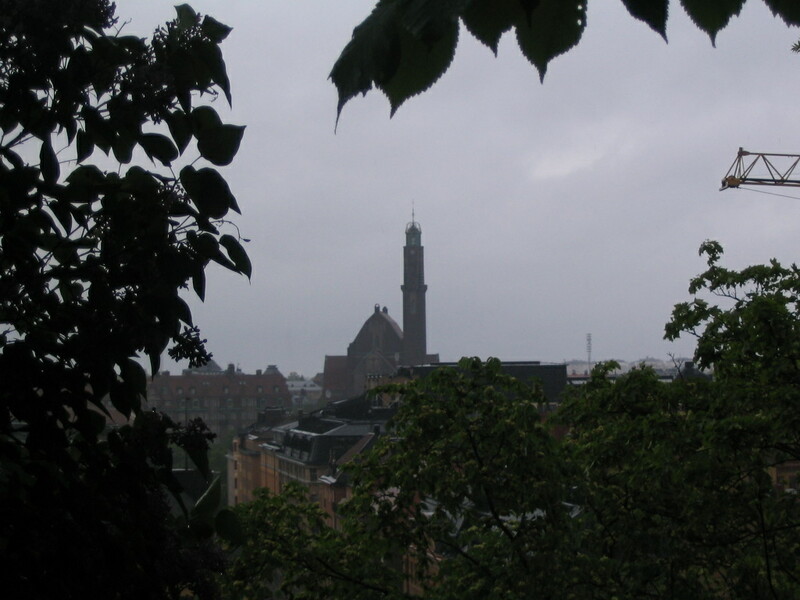 A more elevated, yet secluded, view of Engelbrektskyrkan. Why, what's that orange building over there to the left? 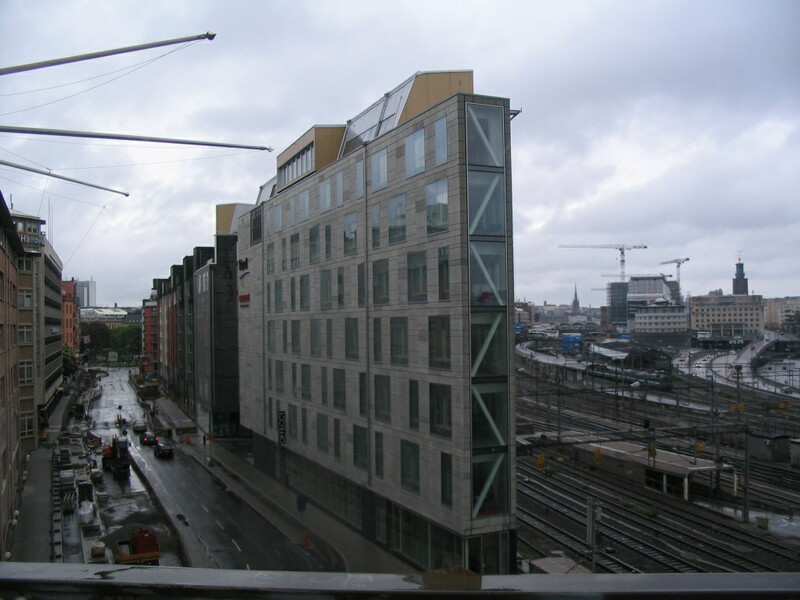 Could it be the Stadsbibliotek? 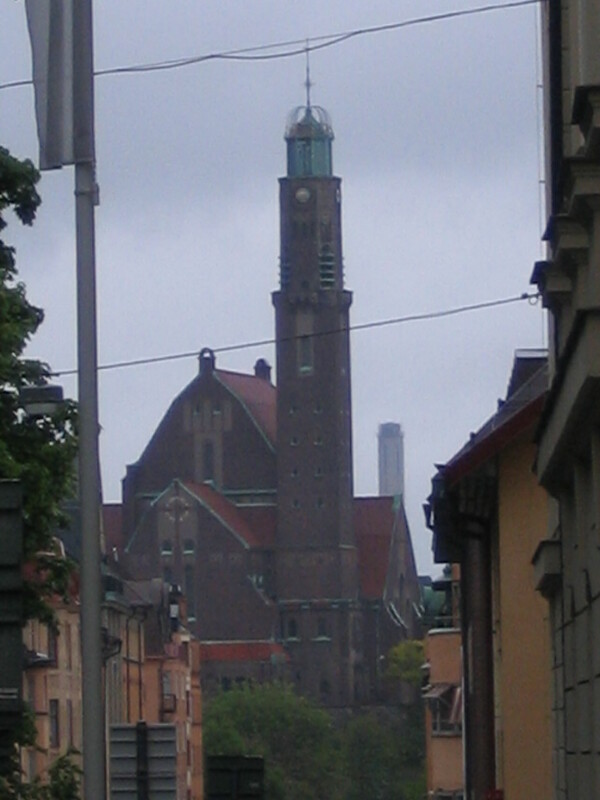 Now here's Engelbrektskyrkan right out in the open. I see what you guys did there. Pretty clever. 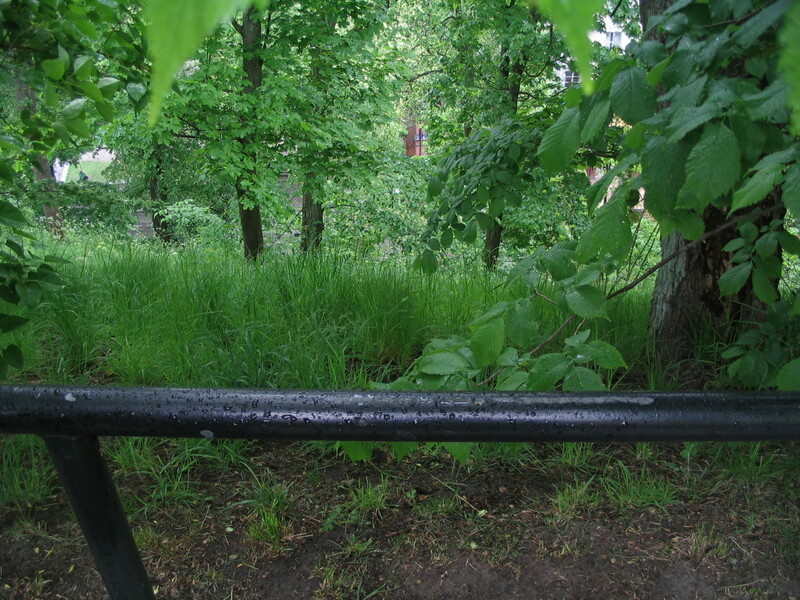 This is at the north edge of the park. 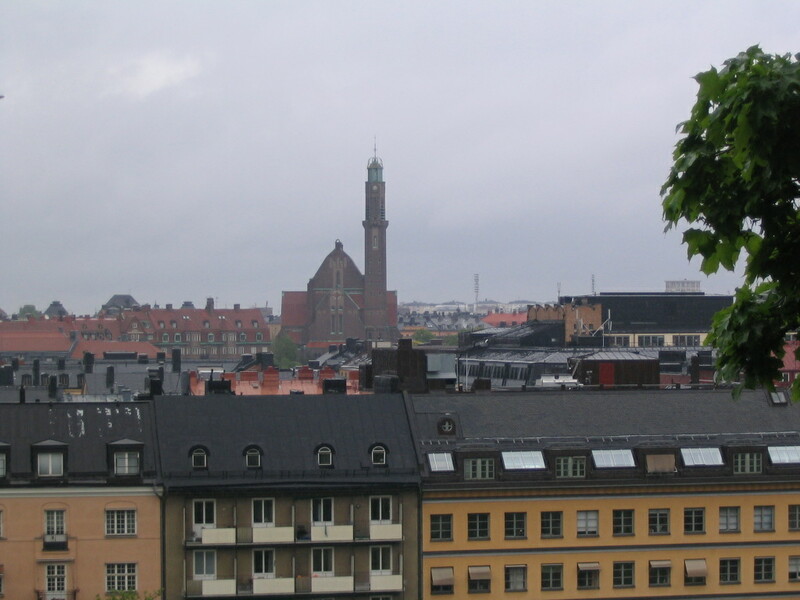 Having descended from the park, we found this church, Gustav Vasa kyrka, to the northwest. 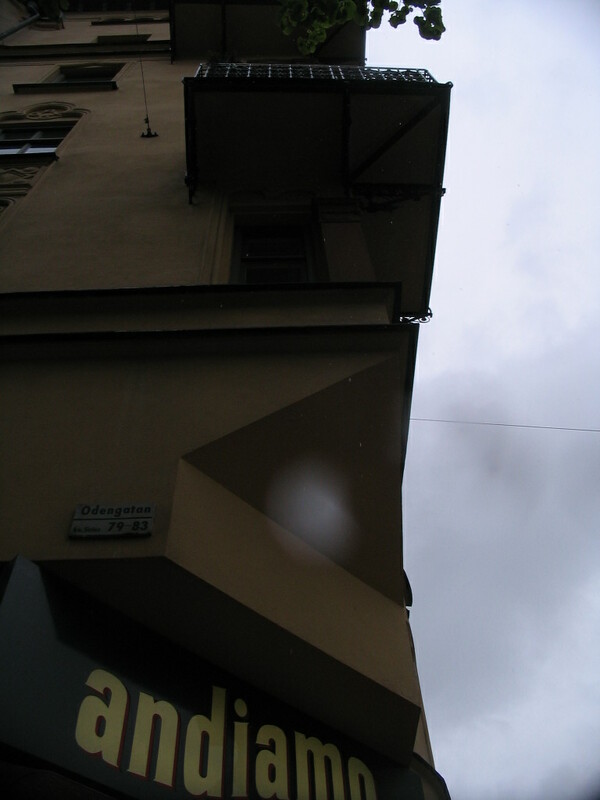 Across Odengatan from the church, a corner cutout somewhat recalling all the ones I saw on my Switzerland 2005 trip. 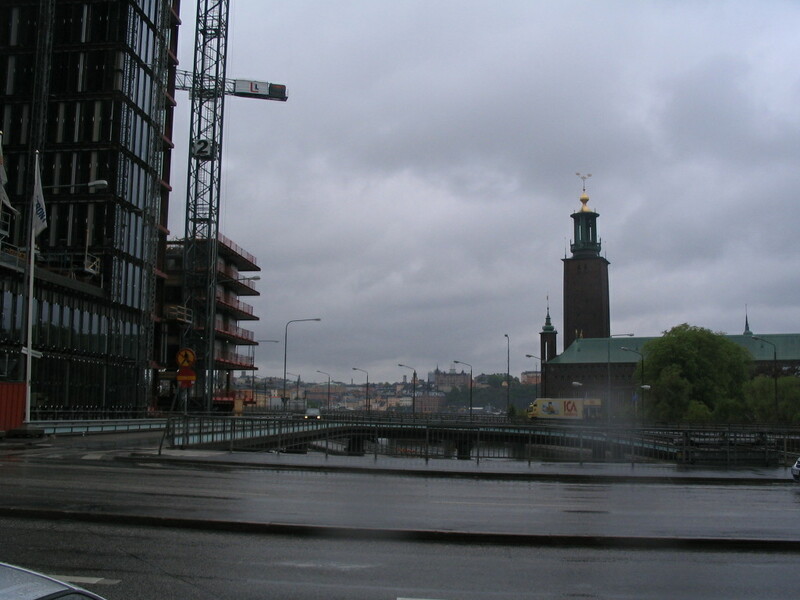 We headed south and west, back toward Cityterminalen, as James had to leave to catch a flight. 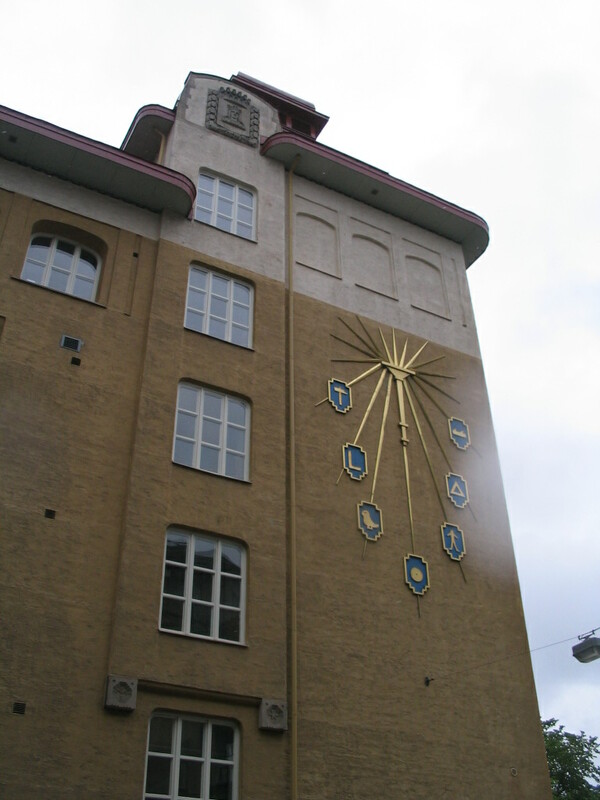 This Jugendstil edifice is Adolf Fredriks skola, an elementary school, located on Rådmansgatan. I assume the symbols represent various aspects of education. 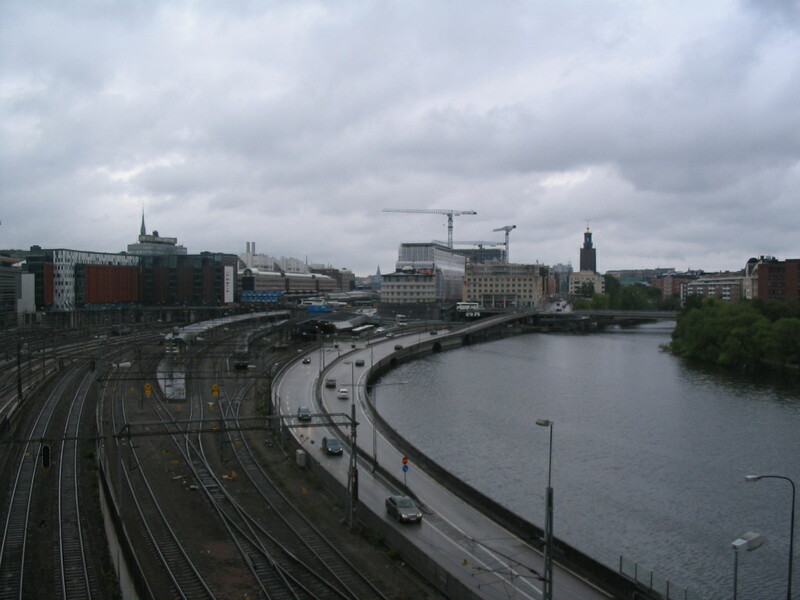 With a little bit of time to kill still, rather than heading right back to Cityterminalen, we crossed onto Kungsholmen via Barnhusbron (the Barnhus bridge), which crosses over both Barnhusviken (Barnhus Bay) and the rail tracks on the north side of the central station, on Barnhusviken's left bank. These wedge buildings by the tracks appeared brand new. Across the bridge (the short way, i.e. 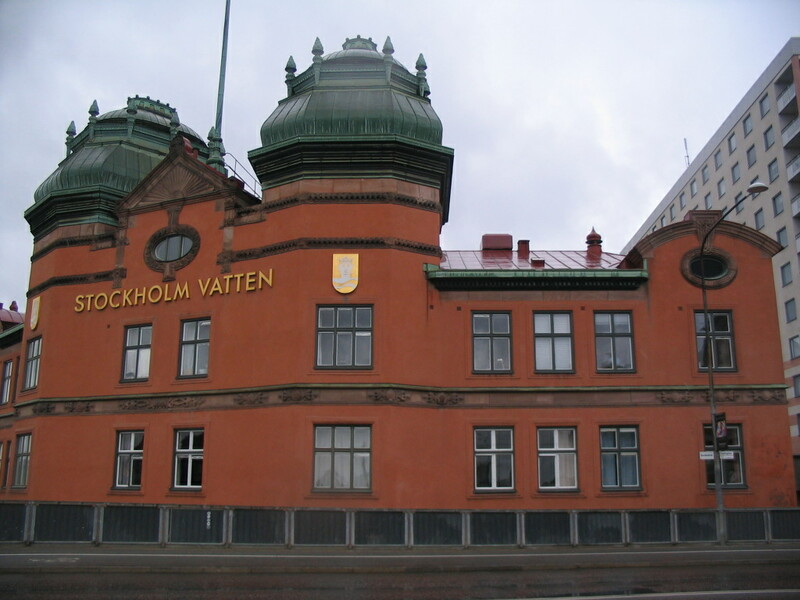 like across the street): Stockholm Vatten, the Stockholm waterworks. 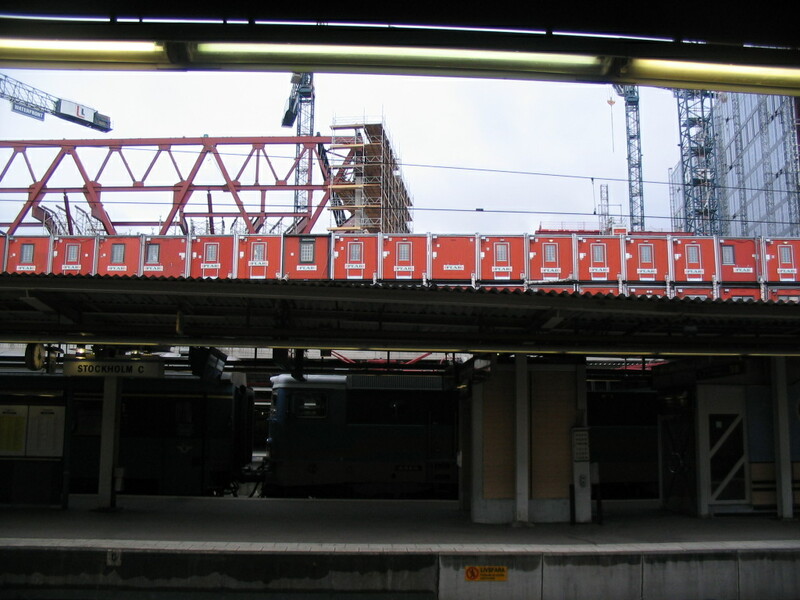 Stockholm colorists seem to love ruddy oranges. 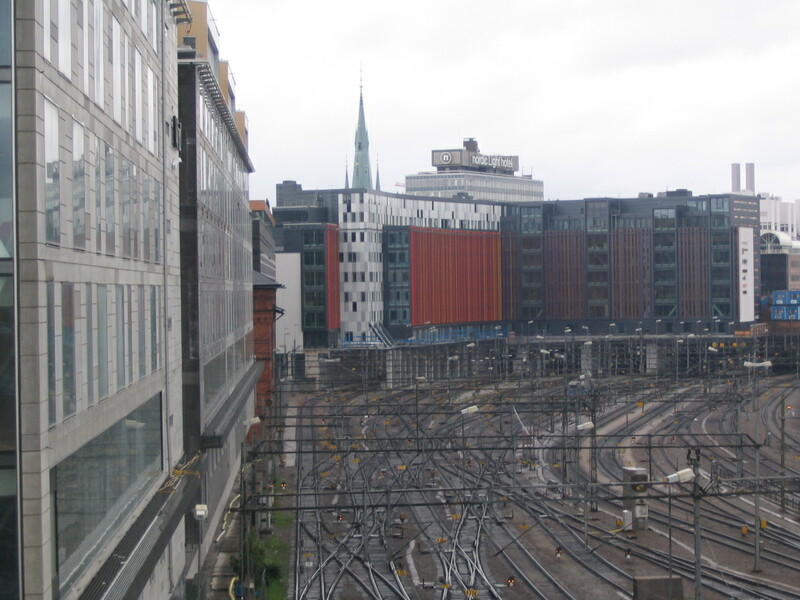 A sufficiency of rails, frames, and glossy façades. 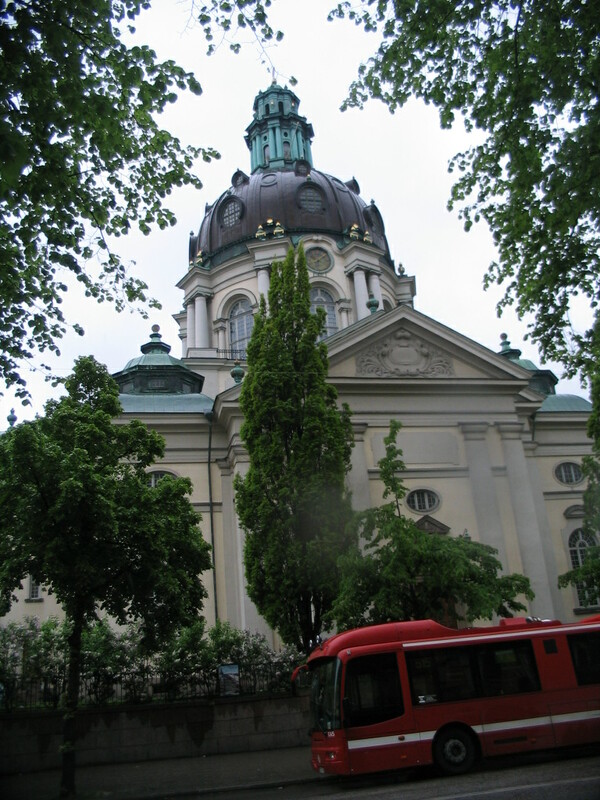 Klara Kyrkan hides behind. Do You Like Parallel Infrastructural Modes? 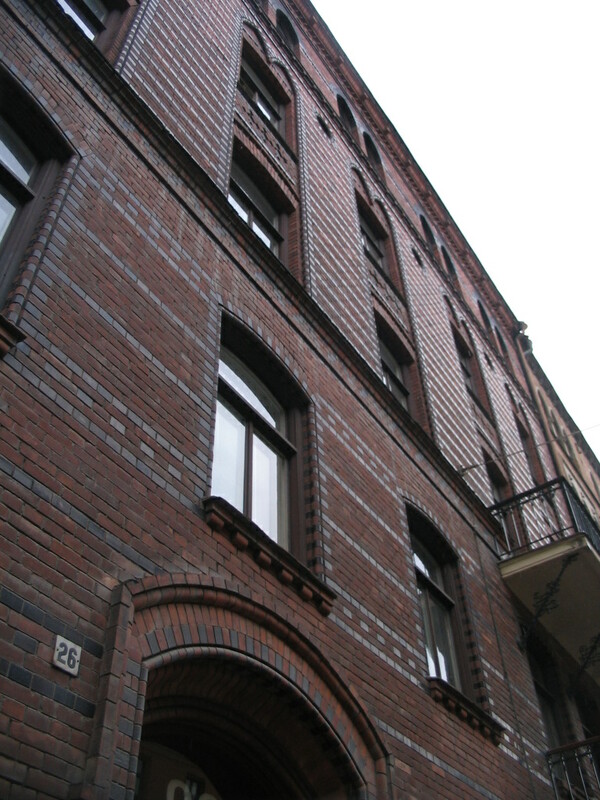 More matte/glossy bricks, on Scheelegatan. 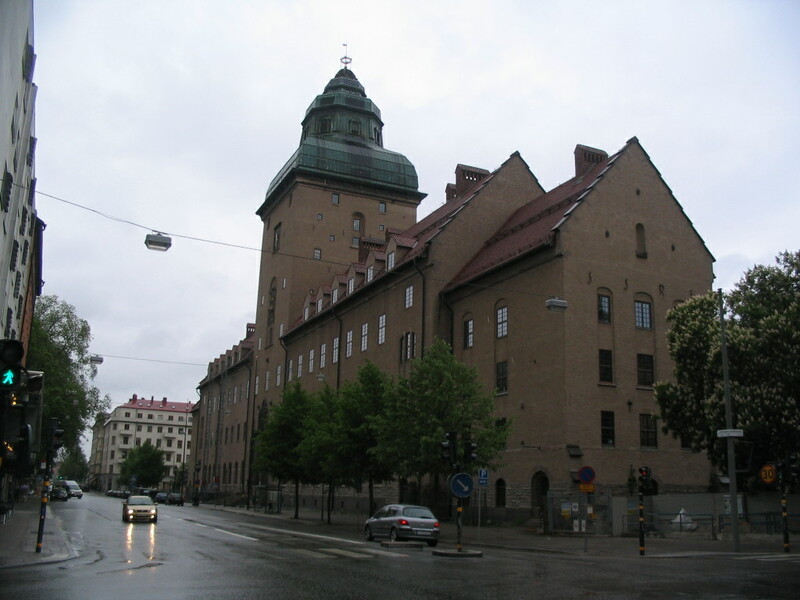 The Stockholm Courthouse (Stockholms Rådhus), which was built in the 1910s but inspired by medieval castles, hence its mega-heavy look. Pretty cool. 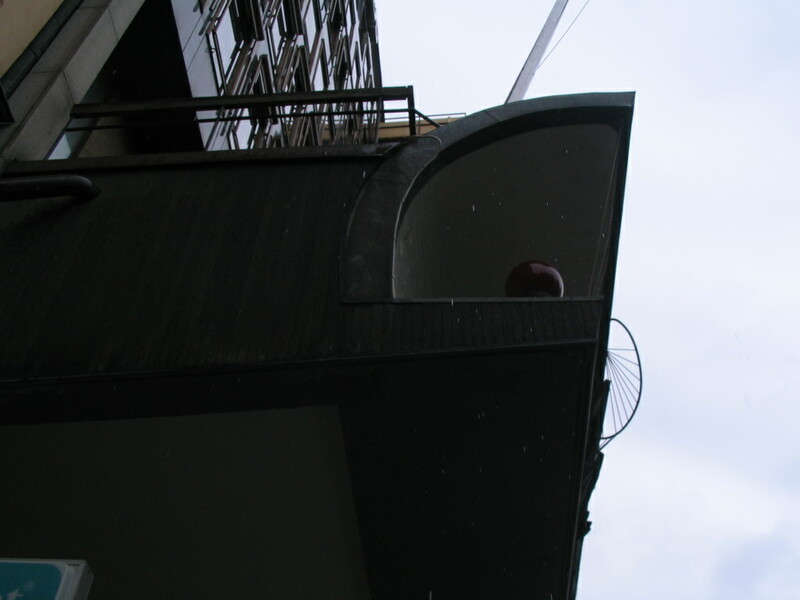 Check out the tiny windows sprinkled around the central tower. 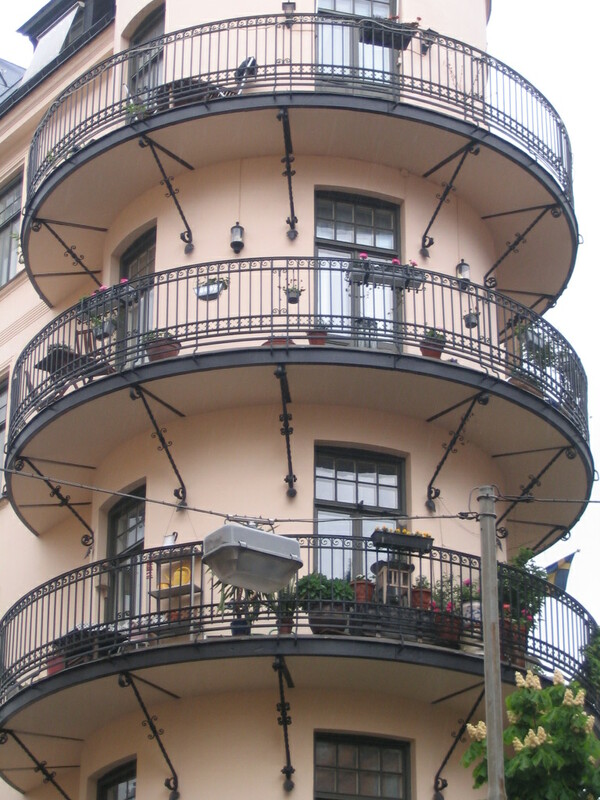 Nice rounded building-end balconies like the Apteekki on Katajanokka. 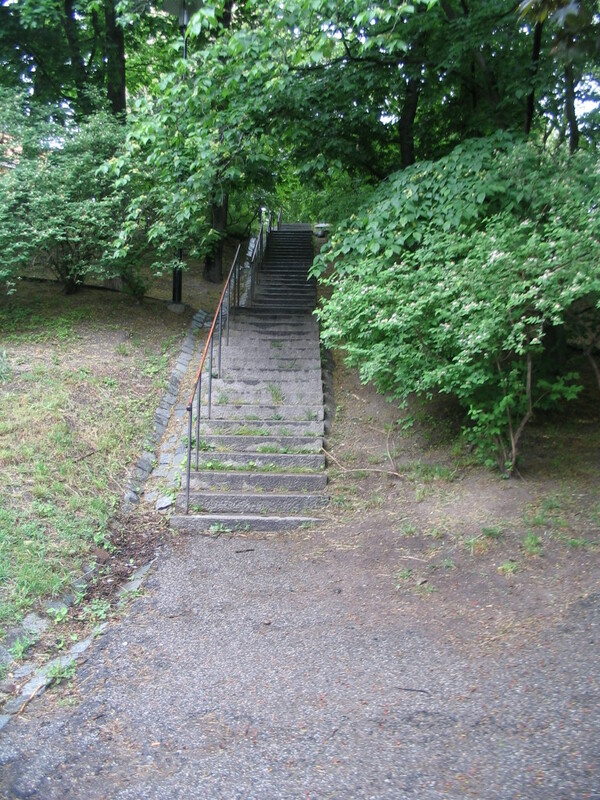 This is at the corner of Kungs- and Kungsholmsgatan. 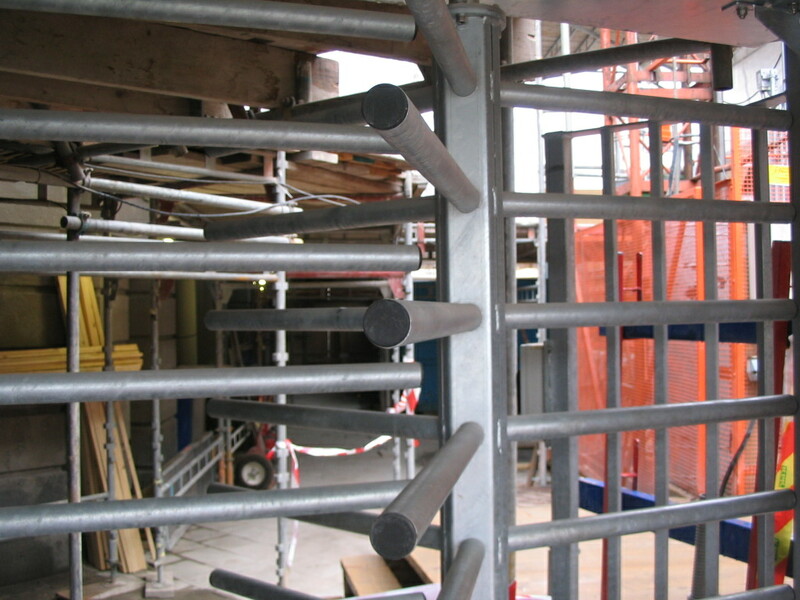 We proceeded along the Barnhusviken bank, still on the Kungsholmen side, where there was construction happening, accompanied for some reason by this turnstile we had to go through. After seeing James off, I psyched out the platforms at the central station to make sure I'd know where to go to catch my train.